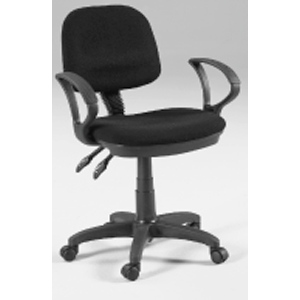 * [This Desk height version adjusts from 16.5-21"] plus ergonomically contoured seat and back, for improved comfort, productivity and support. * The front paddle is to adjust the chair height. * Pictured Arm rests included.